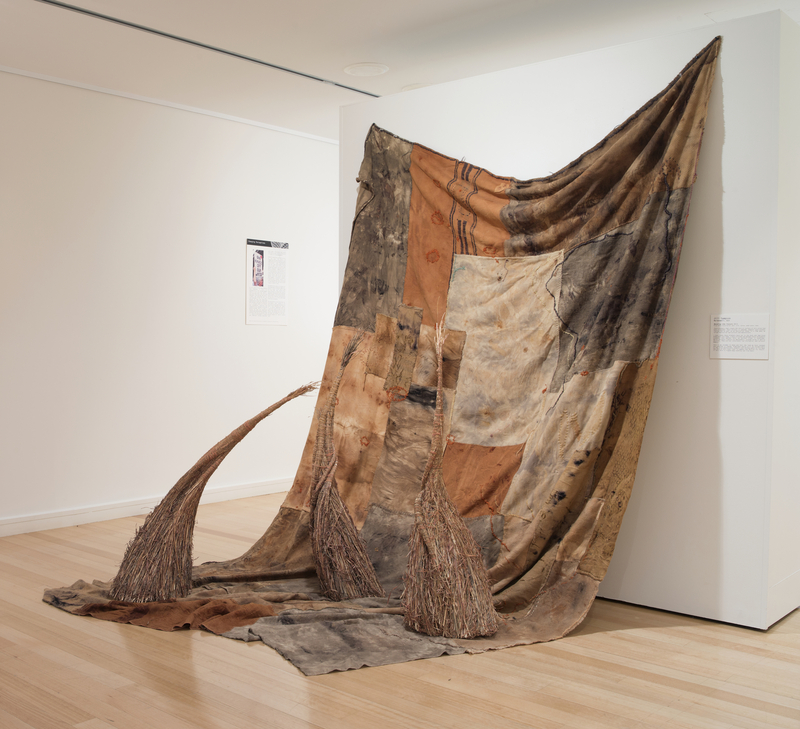 Concerned about the resources land grab occurring throughout Australia, artist Jill Sampson thought that a creative response would be the best way to engage with this cultural issue. Whilst living with her young children on her parent’s farm, one of thousands of Qld farms that at that time had a mining exploration lease hanging over it, Jill became acutely aware of the tenuous nature of land ownership in Australia. In 2012 Jill contacted the Bimblebox Nature Refuge with the idea of developing an art project around that particular threatened environment. This became the Bimblebox Art Project. In 2012 the inaugural artists camp at the Bimblebox Nature Refuge was developed, coordinated and realised with the artist camps continuing annually. The exhibitions Document://Bimblebox, Bimblebox: art – science – nature and Bimblebox 153 Birds have all been developed through the Bimblebox Art Project. While visitors to the Bimblebox artist camps have developed their own bodies of artwork, exhibitions and writing about the Bimblebox Nature Refuge. Vanishing Food Bowls, 2013, Jill Sampson, at Redland Art Gallery, toured with Bimblebox: art – science – nature, photo courtesy of the artist. “As I grow older my desire to be on the land physically drove my decision to take my children ‘home’ to the farm and is now driving my art. In 2012 my beloved family farm had a mining exploration lease hanging over it. My time on Bimblebox has been a precious gift where I was able to experience a place rare and endangered while attempting to capture something of its nature in my artwork. Rolled forms, Bimblebox grasses, 2012, Jill Sampson, photo courtesy of the artist. Out in the Paddock, 2013, Jill Sampson, photo courtesy of the artist. A long way from home, Bimblebox grass sculptures on the CQ coast, 2013, Jill Sampson, photo courtesy of the artist. Jill Sampson reads Channel-billed Cuckoo poem by Lorne Johnson at the inaugural installation of Bimblebox 153 Birds, Impress gallery, Brisbane, 2015. In 2012 Jill began to develop the concept for Bimblebox 153 Birds, beginning in 2013 to call for contributions from artists and writers, while musician and sound artist Boyd called for contributions from musicians for he and Alison Clouston’s installation Coalface. The musician’s bird calls have been mixed by Boyd with the writers audio for Bimblebox 153 Birds. Bimblebox 153 Birds is a unique installation of artist prints, poetry, prose and musician’s birdcalls. Inspired by the birdlife of the Bimblebox Nature Refuge in Queensland’s Galilee Basin this exhibition brings together the creative contributions of over 440 artists, writers and musicians worldwide. Curated by Jill Sampson, audio compilation and mixing by Boyd. Bimblebox 153 Birds at Gympie Regional Gallery, 9 August – 3 September, 2016 (previously at Impress Printmakers Gallery, May 2015 & Brisbane Writers Festival, State Library of Qld, September, 2015. Great idea! Please save Bimblebox! A wonderful Art Project, more importantly, bringing the issues at hand to the unaware. What a privilege to be part of such a project. Great job, well done to all. Very good, wish a had seen this exhibition in reality.